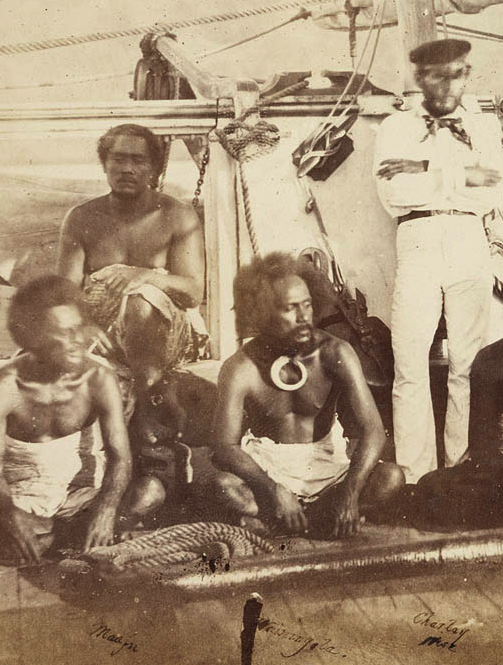 1830: The Tahitian teachers, after being detained on Tongatapu for some time by Aleamotu’a, reached Lakeba in 1830 – Taharaa from Papara, Faaruea and Hatai from Moorea, all unmarried. 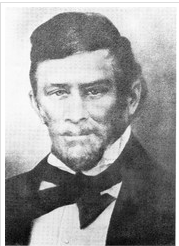 Tui Nayau proved to be less ready to receive Christianity than had been expected. 1832: In 1832 they moved to Oneata; south of Lakeba, where they succeeded in founding the first place of regular Christian worship on Fijian soil. Though they had problems acquiring the language, they were warmly welcomed. Local tradition still remembers and honours them at Oneata. The baptism of Taufa’ahau, the ruler of Ha’apai, in 1831, started a new chapter of Tongan history. The earliest sustained contact with Europeans was with missionaries. In 1831 the Glide was anchored in the passage between Macuata Island and the mainland of Vanua Levu, loaded and ready to sail, when a hurricane blew up. After dragging her anchors for eight miles, she was blown on to the reef and lost (21st March, 1831). Her crew had not long to wait for rescue; they were picked up to months later by the schooner Harriet of Wallis Island. the same hurricane wrecked the brig Niagara (248 tons) of Salem, in Bau roads, near Viwa. The barque Peru (230 tons), which was well known to the beche-de-mer trade, was also in the Group, but survived the hurricane.